Washington: The Trump administration has notified World Bank shareholders that President Donald Trump intends to pick senior Treasury Department official David Malpass as the US nominee to lead the development lender, people familiar with the decision said on Monday. The nomination of Malpass would put a Trump loyalist and a sceptic of multilateral institutions in line to lead the World Bank, which committed nearly $64 billion (Dh235 billion) to developing countries in the year ended June 30, 2018. 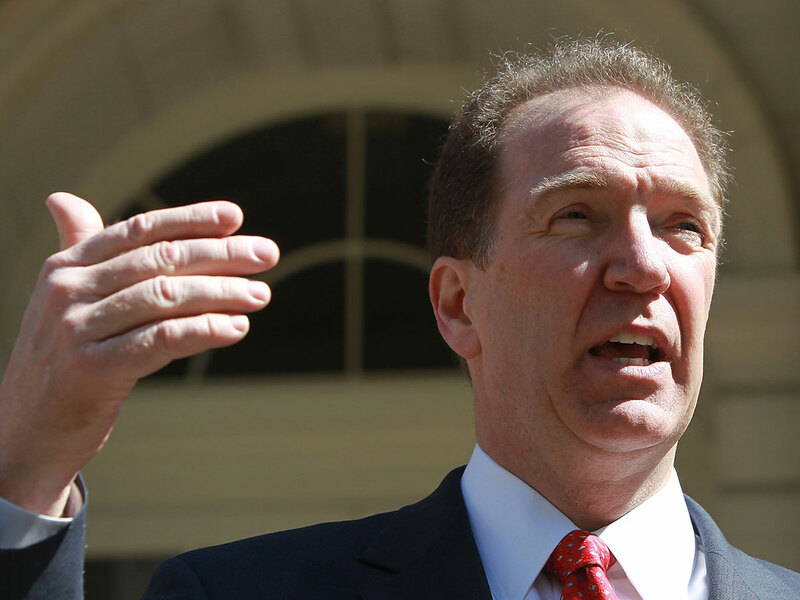 Malpass, or any other US nominee, would still need to win approval from the World Bank’s 12-member executive board. While the United States holds a controlling 16 per cent share of board voting power and has traditionally chosen the World Bank’s leader, challengers could emerge. If approved, Malpass, the US Treasury’s top diplomat as undersecretary for international affairs, would replace physician and former university president Jim Yong Kim in the role. Kim, first nominated by former US president Barack Obama in 2012, stepped down on February 1 to join private equity fund Global Infrastructure Partners, more than three years before his term ended, amid differences with the Trump administration over climate change and development resources. Malpass in 2017 criticised the World Bank, the International Monetary Fund and other multilateral institutions for growing larger, more “intrusive” and “entrenched.” Over the past two years, Malpass has also pushed for the World Bank to halt lending to China, which he says is too wealthy for such aid, especially when Beijing has subjected some developing countries including Sri Lanka and Pakistan to crushing debt loads with its ‘Belt and Road’ infrastructure development program. China is the World Bank’s third largest shareholder after Japan, with about a 4.5 per cent share of voting power. “They have a choice. It’s a simple majority vote, the US has no veto in this election and there are many better candidates,” Sandefur said in an emailed statement.